LeEco, the Chinese company that bought US-based TV giant Vizio back in July, just announced its first smartphones in the US. They have great specs, run Android, and the good news is, they are super, super cheap. You might not have heard of LeEco, but they are a huge company in China with a market cap of $13 billion. LeEco has a reputation for making high-quality gear at super cheap prices, something it plans on continuing it pushes into the United States, and that’s exciting. 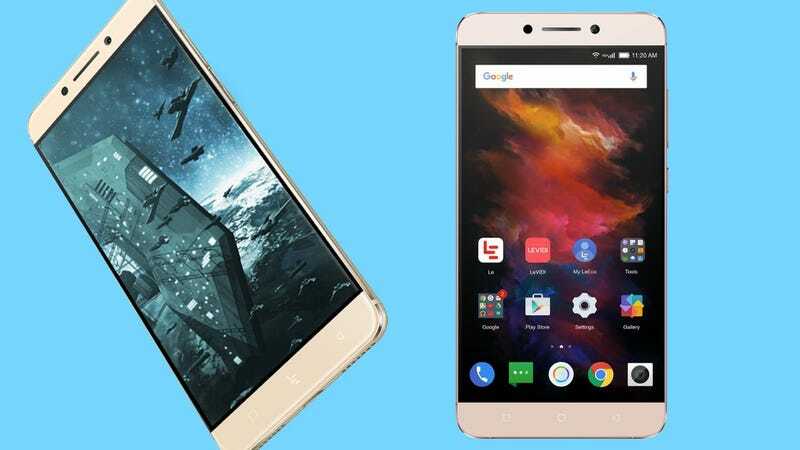 LeEco is releasing two phone models in the US, the LePro 3 and the Le S3. Both will be available in November. Like the iPhone 7, it lacks a headphone jack. You’ll have to plug it into the USB-C port instead. The LePro 3 will sell for $400, which is a great price for a phone with a Snapdragon 821 processor. Even better, LeEco is offering a $100 instant rebate on the LePro 3, making its price just $300 if you order during a flash sale on November 2. The other phone is the Le S3. LeEco is selling a device similar to this device as the Le 2 in other parts of the world. It has a Snapdragon 652 processor, 5.5-inch full HD display, 3GB of RAM, Quick Charge 3.0, a fingerprint sensor, and a 16 megapixel rear camera. It comes with 32GB of built-in storage. Like the LePro 3, the Le S3 ditches the headphone jack in exchange for USB-C.
It’ll sell for $250, but like the Le Pro 3, you can get a $100 instant rebate on November 2 during a flash sale. The LePro 3 and the Le S3 run Android 6.0 with LeEco’s custom EUI skin on top. The skin was also designed to work across the broader LeEco ecosystem, so if you happen to pick up an LeEco smart TV, it’ll look familiar. These phones are unlocked so they’ll work on T-Mobile, AT&T, MetroPCS, or Cricket Wireless. Both phones are definitely coming at the low-end Android market hard. In China, India, and other parts of Asia, Android makers are going all out to have high-specced phones at super low prices. Few of those phones have made it stateside. Sure, we’ve got OnePlus, but Xiaomi for all its hype hasn’t hit yet and probably won’t for quite some time. That’s why the LePro 3 and Le S3 are exciting. These are powerful devices, and on paper, the should be able to compete with the best from manufacturers like Samsung, HTC, and Motorola. We need to actually feel these phones in our hands and get a sense of the software, but so far this looks promising.